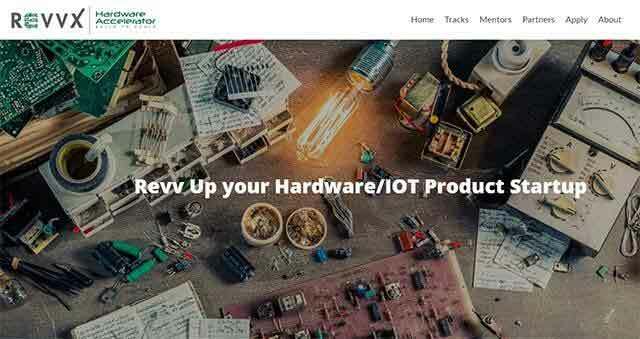 Bangalore-based hardware accelerator Revvx, run by Capmorris Business Accelerator Pvt Ltd, plans to invest in hardware startups. It is setting up a dedicated fund for investing in startups selected for its accelerator programme. For more detail click here. The second batch of startups, which is expected to start in two months' time, will be the first beneficiaries of this fund, Avinash Kaushik, co-founder, RevvX told Techcircle.in. Many accelerators and incubators have an associated seed investment unit and pick up 5-10 per cent stake in the startups in their programme. Revvx did not have an investment support arrangement in the first batch. Revvx, one of the early hardware accelerators in the country, focuses on helping hardware startups in prototyping, manufacturing and distribution. Sector-agnostic, the only prerequisites for admission to the Revvx programme is that the startup should have an engineering sample ready. It typically helps hardware startups to take their engineering sample to prototype, take a prototype-ready company to mass manufacturing and raise investments for distribution. Revvx is also set to launch three in-house seeded venture creation platforms, said Kaushik. ScoopStake, an innovation marketplace similar to an angel list, will connect large companies to startups where decision-makers of corporate houses can put up mandates for innovations and invite solutions from startups. The second product, christened Pre-Launcher, is an e-commerce platform for pre-ordering innovative products which will also help brands engage with their first customers. HackTank, a hackathon marketplace where corporates meet hackers, is the third product. These platforms will operate as separate entities with dedicated management team, but Revvx will have a stake in each of them. Revvx, earlier known as Co-Labs, was founded by Kaushik and Satish Mugulavalli in 2012. Kaushik was the head of international business at Tata Group's innovation centre and later led ICT Incubator for African startups backed by World Bank and GIZ Gmbh. Mugulavalli is the founder of Intel Capital-backed Verismo Networks and has held leadership roles in Teneoris Networks, Ishoni Networks and Multi-Tech. While a number of hardware accelerators had come up in the country earlier, many have eventually turned into software accelerators. Then there are a number of IoT labs and hardware maker spaces which limit their services to offering machinery and infrastructure facilities. According to Kaushik, lack of infrastructure to build hardware prototypes is a big hurdle for startups. "Therefore, commercialising hardware products is still a tough task in India and that's where a true hardware accelerator should focus," he said. However, with universities building IoT labs and large companies creating IoT maker spaces, the situation is gradually improving, he said. "But companies in the demand side, who actually use these solutions, are still ignorant," said Kaushik. The firm is also in talks with the Karnataka government to support the hardware startups since they are all based in the state capital. The first batch of six startups in the Revvx programme are building products in sports, clean-tech, video games and consumer segments. Of the six startups in the first batch, one is being incubated by venture capital firm Sequoia India; a second has been invited to the six-week Hax Boost programme by HAX, an accelerator for hardware startups in Shenzhen; while a large chip maker is likely to support a third startup, Kaushik said.